We all need one. Coffee and energy drink companies have made gazillions of dollars from it. A good movie, good song, or good conversation can do it just as well. Sometimes it requires a good smack in the face. Whatever the case… sometimes… we all can just go for a good spark. To enliven the motorcycling experience (though if you are riding right, no inspiration should be needed! 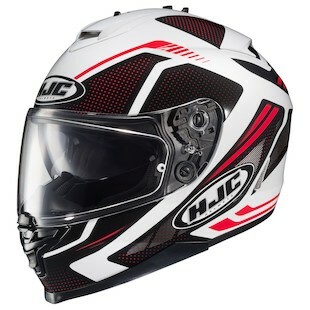 ), the HJC IS-17 Spark Helmet has been released for 2015. With the same construction as the HJC IS-17 helmet, the Spark graphic comes in a combination of colors that really jolt the senses a bit and break the monotony of the average solid color lid. With a colors ranging from Blue/White/Teal/Orange, to a Black/Grey selection and a Black/White/Red option, each choice offers a different set of visual stimuli that compliments any style. So don’t be limited by solid colors. If you like to stand out in a crowd and are the life of every party, check the IS-17 Spark helmet that matches your own unique personality.